Irish folk song- written Richard Forbes and J.C. Flannagan. The singer is Sean O'Se in the youtube video. I have included the chords in the key that Sean sings in. The song was also recorded by Elle Marie O'Dwyer, Joe Lynch and played as an instrumental by the James Last band. The sheet music is included. Ere I[G] dreamed that those[D] joys should de[G]cay. On the[G7] banks of my own lovely[C] Lee. Ere I[A] dreamed that those[Em] joys should de[A]cay. 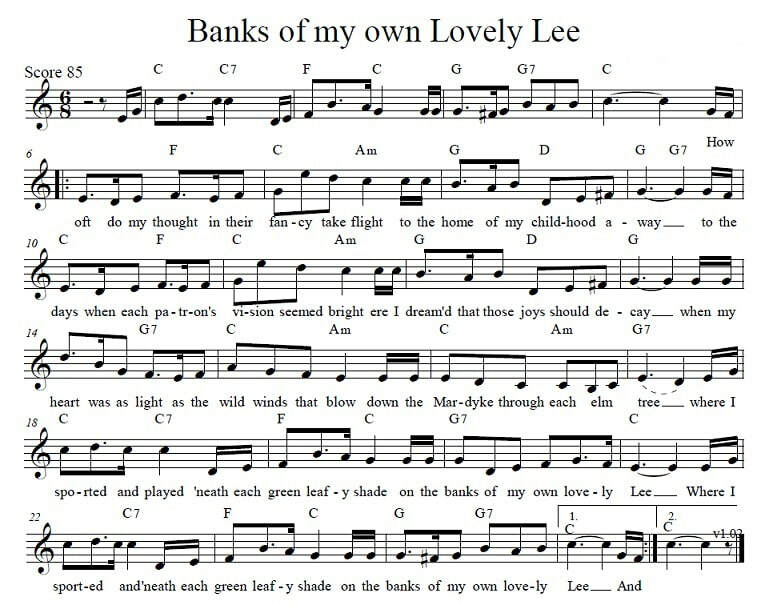 On the[A] banks of my own love[D]ly Lee.